Auchentoshan has enlisted the help of 12 global bartenders to create a new single malt Scotch designed specifically to mix in cocktails. Auchentoshan: The Bartender’s Malt, has been produced exclusively by the 12 winners of the Lowlands distillery’s New Malt Order cocktail competition. The bartenders, from Germany, Sweden, the US, Canada and UK, worked under the supervision of former Auchentoshan master blender Rachel Barrie to create the expression, although the team were given ‘unprecedented’ access to the distillery’s whisky stocks. The expression is a no-age-statement vatting of casks produced at Auchentoshan distillery chosen to reflect the personality of each bartender. Although no whisky in the vatting is younger than six years old, the whiskies chosen span five decades from the 1970s-2010s, and a range of cask types from ex-Laphroaig casks to German oak and ex-rum barrels. The resulting 47% abv whisky is described as having notes of dried apricots, milk chocolate, cherry blossom and brioche – flavours designed to complement mixing in cocktails. Signature serves developed by the bartenders include the tall and refreshing Weegee Mizuwari by Jack Wareing of London’s Dandelyan bar, which includes 50ml The Bartender’s Malt and 150ml Strawberry Water. 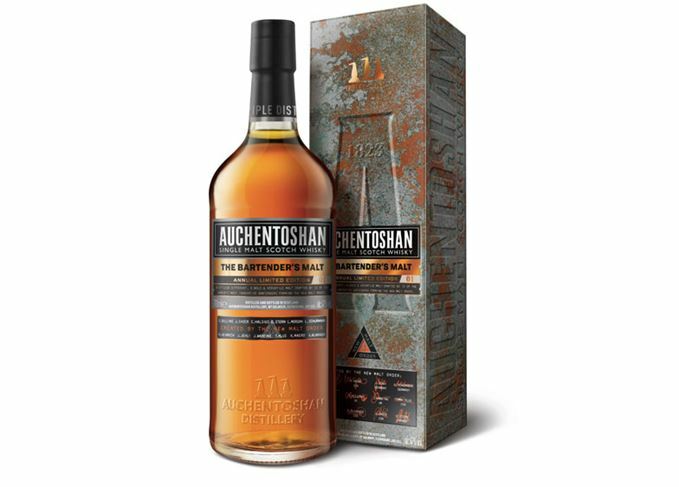 Auchentoshan: The Bartender’s Malt will be available in select bars and specialist retailers worldwide from 3 July, for around £45 for a 70cl bottle. A second edition of The Bartender’s Malt will be launched in 2018, created by the winners of this year’s New Malt Order competition. Liven up the party or warm up by the fire with one of these Christmas cocktail recipes.